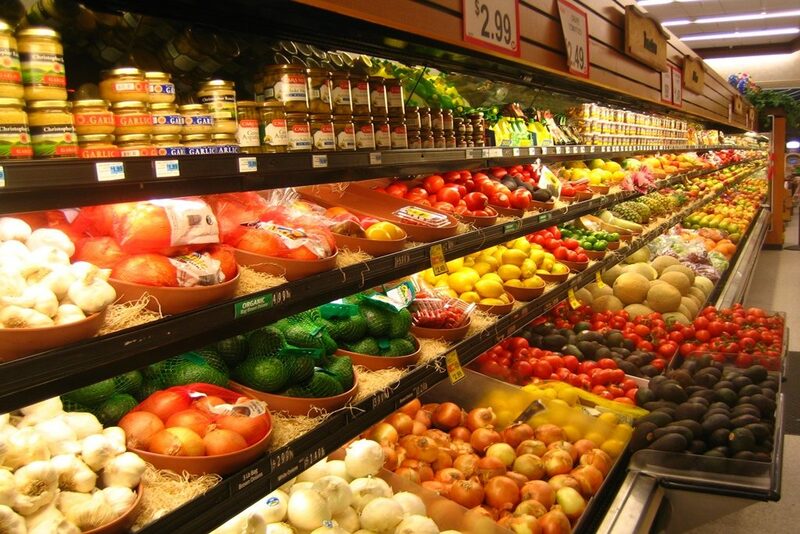 The Fruits and Veggies that line our Stores: How Safe? Health experts as well as environmental groups are unanimous in the view that increasingthe consumption of fruits and vegetables has great health benefits, such as providing valuable nutrients that the human body needs. And perhaps it matters little whether they are grown conventionally or organically. Decades of nutritional studies have thrown upsufficient evidence that an increased intake of fruits and vegetables also decreases the incidence of cancer among our populations. So by and large, the overarching message from nutritionists is to “enjoy the abundance” and choose a healthy lifestyle, because vegetables and fruits are grown with enough care and safety. But what has changed in farming practice over the last 60 years is the use of pesticides and herbicides, resulting in low level pesticide residue on the produce. As a consequence, there is a difference in the way consumers perceive conventionally grown fruits and vegetables. Several studies have shown that indiscriminate use of pesticides in crops does result in health conditions such as cancer, birth defects, miscarriages, sterility and deaths.In the United States, for example, a significant amount of produce in the grocery stores is imported from countries that use pesticides that were exported from the US in the first place!To add to it, there is confusion when environmental and safety groupsissue “lists” of fruits and vegetables that are unsafe to eat, and so consumers end up limiting their choices. Scaring away buyers from affordable produceworks againsteating a fruit-rich diet. After all, conventionally grown produce is the most easily available and most affordable. So the key factor for consumers to make a decision is the dosage of pesticide, rather than the absolute terms of using pesticide. By and large, organic produce is considered to be safer than conventionally grown ones, as it does not use pesticides and herbicides – but there are varying degrees of truth in it.Here we come across a new segment known as “bio-pesticides” which are derived from natural materials such as animals, plants, bacteria and other minerals. The problem with organic produce, however, is that there are fewer stores selling them, and these few stores are usually located in richer neighbourhoods and have limited choice. The United States has adopted a systematic approach towards organic produce by ensuring that it fulfills the regulations of the NOP (National Organic Program). These plans must include a description of a farmer’s pest management practices and a list of pesticides that would be used, along with third party certification. These plans address three levels of pest management. At the first level, there is already the expectation that a well-designed organic system will be healthy enough and will naturally have fewer pest problems. It focuses on prevention practices such as cover crops, crop rotation and providing habitat for the insects that are beneficial to the system. At the second level, insect predators and other mechanical and physical processes are introduced. At the third level, natural pesticides, and in rare cases, approved synthetic pesticides are used. The manufacturers of these natural pesticides too have an option to bethird-party verified, to declare that their products meet the requirements of the NOP regulation. Other than that, the Organic Materials Review Institute (OMRI) and Washington State Department of Organic Food Program (WSDA) independently reviews products intended for use in certified organic production, handling and processing. Organic farmers can be assured that the use of these listed products will not threaten their organic certification, although the lists are not endorsements for their products. Most pesticides used in organic crops are exempt from the requirement of a tolerance level. USDA Accredited Organic Certification: Organic certification is an assessment by a third party certifier accredited by the USDA to verify that the produce is grown in accordance with organic regulations. The certifier is independent of the farmer and buyer, and could even be a grocery store. USDA allows foreign organic products to be sold as organic in the U.S. if they meet the regulations. Currently, 84 USDA accredited certifiers are operating worldwide. For the safety of consumers, the U.S. Environmental Protection Agency (EPA) establishes ‘tolerances’ or allowable limits for synthetic pesticides to protect public health. Pesticide residues detected through numerous federal and state sampling data programs are typically well below the established EPA tolerances. The Alliance for Food and Farming even developed a pesticide calculator to demonstrate that pesticide residues do exist in food supplies but they are at levels so low that there should not be any consumer risk. The important thing for consumers is that they need to eat a diet with fruits and vegetables – whether organic or conventional. Coming to the aid of consumers and producers is the system of produce traceability that makes it possible to trace the produce from its point of origin to a retail location. This is an important link in protecting public health since it allows health agencies to more quickly and accurately identify the source of contamination and remove it from the market place and communicate to the supply chain. Since many fruits and vegetables are eaten raw, the produce industry, from farmer to retailer, works diligently to protect these foods from contamination. There is also a blueprint called Global Standards that guides the implementation of traceability for supply chain management and product identification. This makes traceability possible on a global scale, no matter how many companies are involved or how many borders are crossed. Sourcetrace provides traceability solutions for farmers, in which all data from farm to retail can be monitored and recorded. It has inbuilt Internal Control Systems monitoring modules, which can work even in remote locations and for the benefit of small holder farmers. It is an excellent tool for farmer data management and one of the most useful among agricultural mobile applications.